What is the role of artificial intelligence (AI) in recruitment? How can artificial intelligence (AI) improve your recruitment process? Learn all about the applications and benefits of using artificial intelligence (AI) in recruitment! Artificial Intelligence is a technology that gains more and more attention every year. Intelligent and self-learning programs are used in software development and many other areas of IT. Of course, AI is still far from human cognitive abilities, but many modern machines can learn, make difficult decisions, and think. AI-based software is the most flexible solution for various areas of business. It gives more opportunities for automation of processes that don’t require a high level of creativity and so can be performed by a machine. The automation of processes becomes possible due to AI’s ability to analyze big data and quickly estimate available options. AI technologies become widely used not only in IT but also in marketing and development. There’s no surprise some companies start using AI solutions in recruitment, trying to automate the recruiting process and to discover new ways of hiring talent. AI is probably the most important recruitment technology solutions you’ll kick yourself for not knowing - and using! Although the history of artificial intelligence dates back to antiquity, countless blogs and articles became focused on AI role in recruitment in 2017. Discussions about possible applications of AI in recruitment became a sort of storm that flooded numerous HR conferences. AI is the latest trend in the talent industry, and it would be safe to say that such a trend won’t be going anywhere in the next few years. It’s hard to overestimate the capabilities of this technology for improving the traditional recruitment routine. For example, virtual assistance allows companies to make complicated and time-consuming processes much simpler and faster. AI technologies look so promising because they allow recruiters to complete unified profiles from massive unstructured data sets, matching skill sets required for a certain position with the candidates’ job profiles. So how will AI change recruiting? First of all, it’s an opportunity to automate low-level tasks. Providing decision-makers with more detailed information, it immediately reduces operational costs. Modern recruitment software has many benefits besides automating administrative workload. There is also more specialized software which allows employers to see how a candidate demonstrates his or her skills in practice. 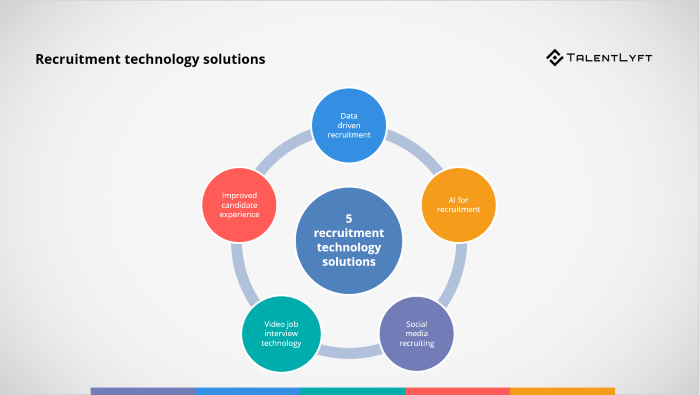 For example, Filtered is used in tech talent recruiting to test candidates by using multiple coding challenges that are generated automatically. AI startups create immediate value, changing the business model as we know it. Recruiting is a market that creates value only during certain periods of time (when a candidate is recruited). This model hides certain difficulties for tech companies. On one hand, they are used to unstable revenue streams. On the other hand, this model means that they will likely choose to pay per position instead of using the SaaS model. Artificial Intelligence allows these companies to target certain segments with higher recruiting needs. These products also imply recurring revenue, but investors and startups will need to consider models based on commission if they want to make a transition to the recurring model. HR staff needs to select the right people from a big pool of applicants. Thanks to Artificial Intelligence, the whole process can be divided into several stages, automatically. Recruiters can collect more data on each candidate and so evaluate candidates more effectively. There are many AI-based solutions that help assess the skills and experience of candidates using special algorithms. HR managers get an opportunity to select candidates based on their skills and find a right position where abilities of a certain candidate are most needed. This new approach not only increases the productivity of business but also motivates candidates to improve their skills. In addition, AI software demonstrates a higher level of accuracy compared to human recruiters. Time is valuable for every company, and the recruiting industry is no exception. Artificial Intelligence provides many solutions for estimating the candidates’ skills. AI-based software only needs a few seconds to analyze big amounts of data and provide understandable results that can be considered by decision makers. Saving time, AI solutions also save money and resources. Human intervention always implies a certain share of unconscious or conscious bias. Biased decisions are a common problem for all sorts of organizations, and AI solutions are able to minimize this element. Companies get a great opportunity to hire only the best candidates based on their real potential, as all the decisions are made taking into account data and resume only. One of the simplest yet the most valuable applications of AI is the ability to post improved targeted ads that will be seen by the right people at the right moment by using the history of their online activity. AI-based software is able to analyze browsing history of candidates and to use it in decision making. Systems of data management processing allow you to set a target and search for candidates who match your objectives. You can see what your candidates have googled and what websites they have visited. You can even see who of them was interested in the web page of your company. Candidates who are searching for similar positions can see ads for your company's position at the very moment when they start thinking about getting a new job. Chatbots can add more information in resumes and talk to candidates, answering their basic questions. Advanced chatbots like Mya not only talk to candidates but also analyze their responses using Natural Language Processing, which allows them to see if a person demonstrates certain skills. This bot is also capable of filling in gaps in resumes and providing recruiters with a more complete understanding of whether a candidate fits a certain role. The traditional recruiting process includes posting a job, selecting candidates after multiple interviews and picking one of them to fill the necessary position. This whole process repeats every time a company needs somebody new, and recruiters always need to start from scratch. Not only does it mean losing time, but also losing information, so the efficiency of the process suffers significantly. Virtual assistants are capable of contacting applicants, storing, and analyzing interactions with each applicant with no need to start all over again. Solutions like Textio help recruiters improve their job postings, making it easier to differentiate candidates. Even though Artificial Intelligence is exploring almost all possible business spheres, recruiters are still somewhat afraid of AI solutions. Some of them are not sure that machines are good enough for this job. Others are afraid of Artificial Intelligence replacing them. Moreover, the latter are to an extent right, as machines have already demonstrated better abilities doing overwhelming repetitive work. On the other hand, this is the reason why the use of AI in recruiting will increase the value of human work. Anyway, it's important to understand that the AI trend in recruiting isn't going to disappear in the nearest future. It is one of the tech trends in HR that are have completely reshaped recruiting in 2018. Recruiters need to learn new opportunities and adapt to the new conditions on the market. Berta Melder is a brand manager and co-founder of the Masterra Professional Content Writers. She cooperates with different education courses covering a broad range of digital topics as a guest lecturer. Enjoys creative writing and blogging. Her Twitter @BertaMelder.